Below is information to keep in mind when teaching the content in this unit. This material is intended to help teachers consider the complexities of teaching about the effects of the Holocaust on children and to deliver accurate and sensitive instruction. 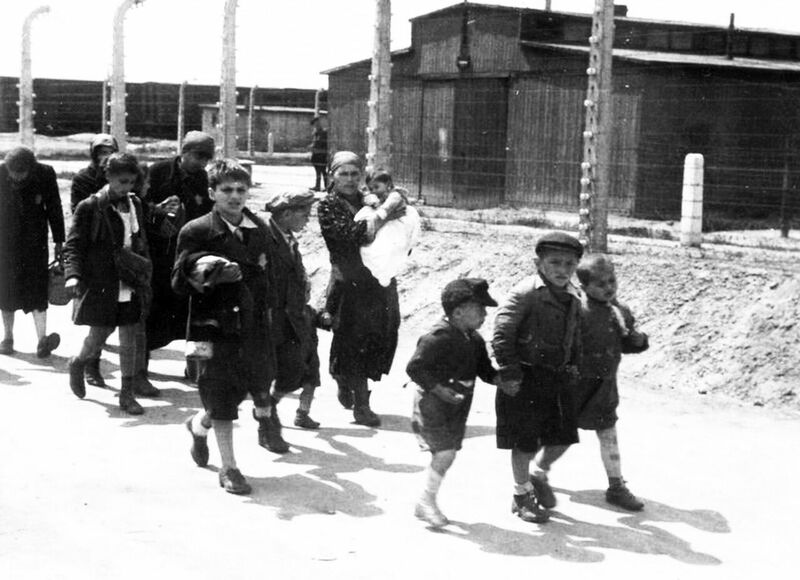 The Holocaust is one of history’s most extreme human events with both unique and universal aspects, and it is critical that students understand the difference between the two. It is important that students first study the unique historical event of the Holocaust and only then proceed to drawing universal conclusions. Help students understand that the word “compare,” which is often used when discussing the Holocaust in relation to other genocides or mass killings, does not mean to “equate” as many mistakenly believe. The Nazi belief that they needed to murder babies and children was central to their racial ideology. This ideology claimed that Jews were guilty of ruining the world the minute that they were born (or even conceived) and, therefore, they should not be “allowed” to live. The murder of children is characteristic of genocides —it is the most effective way to ensure the destruction of a group. Studying the Holocaust and other genocides can leave students feeling that the events they are learning about happened so long ago and in locations so far from their own communities that there is little or no relevance to their own lives. Identifying opportunities for students to visit local museums, centers, memorials, and/or to spend time with members of their communities who can provide a first-person account of events can help students build knowledge, broaden their experiences, and begin to make meaningful connections to events in their own lives. The purpose of this unit is for students to understand the effects of the Holocaust on its most innocent victims—children—since targeting babies and children was an important step in the attempt by the Nazis to erase the Jews and their future. Students will also research post-Holocaust genocides and analyze children’s rights violations. In addition, students are provided an opportunity to develop a position on whether an event the magnitude of the Holocaust could happen again and to consider the role and responsibility of the individual in seeing that it does not. Describe the situation that children faced during the Holocaust. Summarize the causes and effects of post-Holocaust genocides. 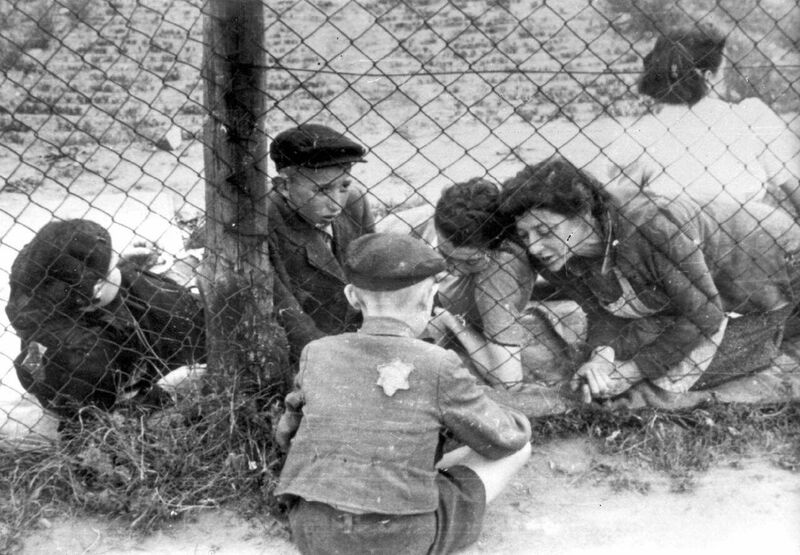 Analyze the violation of children’s rights during the Holocaust and during genocides that have taken place since. Construct an argument to support whether or not something the magnitude of the Holocaust could happen again. Recommend actions that individuals can take to prevent genocide. 1 Introduce students to [L]Vladka Meed[/L] and [L]Roman Kent[/L] and then show their testimony clips. Follow with a discussion using the questions below. What do you learn from Vladka Meed’s testimony? 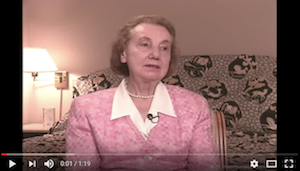 What does Vladka’s testimony tell us about what life was like for some children in the Warsaw ghetto? 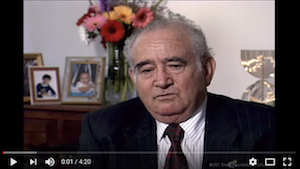 What do you learn from listening to Roman Kent describe his experience during the Holocaust? What conclusions can you make about the fate of children based on Roman’s testimony? What are some other things that you have learned about the fate of children during the Holocaust? How have you learned this information? 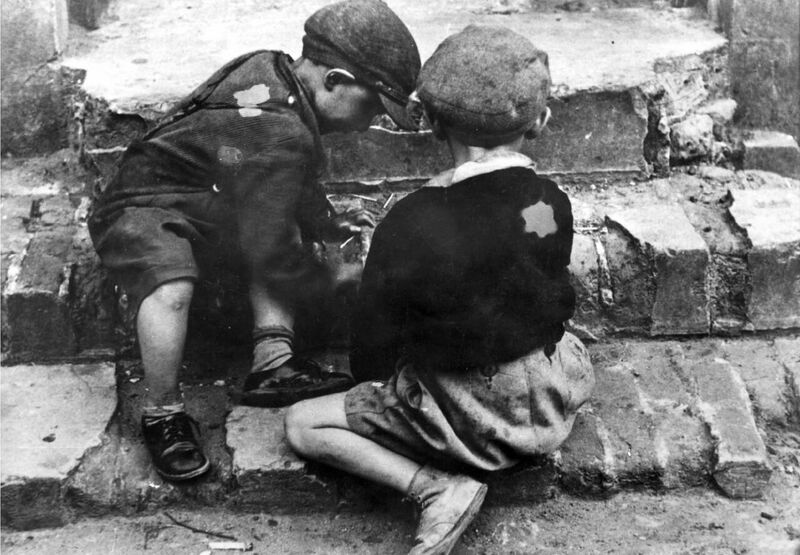 What is the connection between Nazi ideology and the fate of Jewish children during the Holocaust? 2 Provide students with background information on children and the Holocaust outlined on the Children and the Holocaust handout. 3 Divide the class into small groups of four students each. Distribute a copy of each of the four photographs to the groups and instruct each student in the group to randomly select one of the photographs. Have each student study his or her photograph individually and consider the questions below and develop four or five of their own questions about the photograph. If this picture was part of a video, what do you imagine you would hear? What questions come to your mind as you look at the picture? 4 After students have had ample time to study the photographs individually, instruct group members to share their thoughts and questions about the photographs with one another. Each group member should assume the role of discussion leader while presenting some of the questions he or she developed about a particular photograph. At the end of this activity, share information about the photographs in the corresponding Note. 5 Introduce students to [L]Vladka Meed[/L] (if she was not introduced earlier), play her clip of testimony, and discuss some or all of the questions below. What do you learn about Janusz Korczak from listening to Vladka Meed’s testimony? What kind of man do you think Janusz Korczak was? How does Vladka’s testimony help shape your thoughts about him? How would you characterize Korczak’s action of not leaving the children although he had the opportunity? Janusz Korczak believed that all children are good and if properly loved and cared for, all children would grow up to be great achievers. Do you agree with this philosophy? Why or why not? Do children’s rights need special attention? Explain your thinking. 6 Distribute the Janusz Korczak handout. As a whole-group, read the biographical information and selections from Korczak’s “The Child’s Right to Respect.” Have a whole-group discussion using the questions below. How would you characterize Janusz Korczak’s philosophy as it pertains to the rights of children? Do you agree with his philosophy of what it means to respect a child? Why or why not? What specific passage in “The Child’s Right to Respect” is particularly meaningful to you and why? Do you feel that children in today’s society are respected in a way consistent with Janusz Korczak’s philosophy? Explain your response by giving specific examples from personal experience or contemporary events that you’ve heard or read about in the media. 7 Without revealing the date of the Declaration, display the Geneva Declaration of the Rights of the Child and review together. Ask students when they think this declaration was written and adopted. 8 Have students discuss what each of the five principles means and give examples of ways that the principles were violated during the Holocaust. Have students compare the Geneva Declaration to Janusz Korczak’s “The Child’s Right to Respect” and consider how the two documents are similar and how they are different. Ask students if they think the Geneva Declaration was drafted before or after the Holocaust and solicit reasons for their response. At the end of the discussion, tell students that the Geneva Declaration was written and adopted in 1924, following World War I. 1 Review the meaning of the term genocide using the definition available in the Glossary. What other genocides do you know about that Leo does not mention? Do you think Leo feels that the world learned anything from the Holocaust? What specifically does Leo say that supports your answer? 3 Distribute the Genocide Case Study handout. Explain to students that they will work in small groups to research post-Holocaust genocides. They will then present their findings to the class in an oral or multimedia presentation. Their research must include both primary and secondary source materials. Students are encouraged to include sources such as maps, pictures, videos, diary entries, etc. As many questions as possible on the Genocide Case Study handout should be answered, with special attention to the questions related to children. 4 Instruct students to use the Declaration of the Rights of the Child, 1959 handout when answering the question specific to that document. Based on the information presented in these reports/presentations, can you come to any conclusions about why genocides occur? What, if anything, do the perpetrators appear to have in common? What, if anything, do the targeted groups appear to have in common prior to the acts of genocide taking place? What is the overall effect of these atrocities on children? Are you surprised by how many of the rights of children are ignored when genocide occurs? Why or why not? Whose responsibility is it to see that children’s rights are not violated under any circumstances? In what ways were people and communities changed as a result of the atrocities you researched? 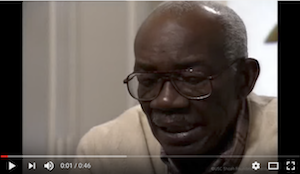 How do people and communities continue to suffer from what happened? Do you think that the world community should have played a greater role in preventing these genocides or in intervening once it was known that they were happening? Explain your answer. How did the free world respond in these cases of genocide? How was the response different or the same as the response during the Holocaust? What kinds of actions can individuals around the world take so as not to be bystanders to such atrocities? In light of the study of these genocides, what do you think was learned from the Holocaust? 1 Introduce students to [L]Jan Karski[/L], [L]Joseph Berger[/L], and [L]William McKinney[/L] and show their clips of testimony. Follow with a discussion using the questions below as a guide. 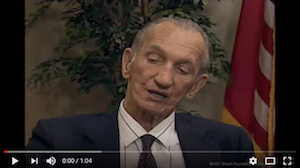 Jan Karski states that “great crimes start with little things” and then goes on to give examples of things people should not do. What are some of the examples he gives? Which, if any, of his suggestions do you think are particularly difficult for people to put into practice and why? 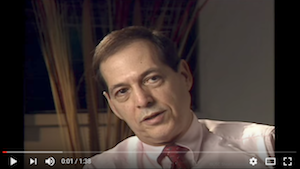 Does Joseph Berger believe that anything was learned from the Holocaust? How does he support his argument? William McKinney states in his testimony that it is time to “eliminate bloodshed.” What do you think would be needed in order to achieve this goal? Do you think that individuals play a role in helping to make the world a peaceful place? If so, explain the role of the individual. What are some things that you can do to prevent prejudice and bigotry in your school, community, society, and beyond? What are some things that your teachers, parents, religious and community leaders can do? Reflect on what you think are the rights that all children are entitled to and why. Why do you think the rights of children are violated so often? What are the short- and long-term dangers to a society that does not protect and care for its children? Explain the meaning of the statement, “Some are guilty, all are responsible.” Discuss whether you believe this statement to be applicable to what happened to children during the Holocaust? A study of the Holocaust will often raise more questions in people’s minds than it will provide answers. What questions, at this stage, do you have about the Holocaust? About human behavior in general? About the role of perpetrators and bystanders? About the resilience of the human spirit? 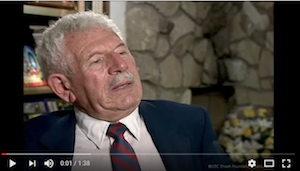 Consider the questions posed by Professor Yehuda Bauer, one of the world’s premier historians of the Holocaust, “What did the Nazis leave behind? What are their literary, their artistic, their philosophical, their architectural achievements?” Write about what you believe to be the lasting legacy of the Nazis. Whose moral obligation was it to save children who were victims during the Holocaust? Explain what you think might have been done to prevent the death of 1.5 million Jewish children. What from your study of the Holocaust will you remember most and why? 1 Visit IWitness (iwitness.usc.edu) for testimonies, resources, and activities to help students learn more about the experiences of children during the Holocaust. 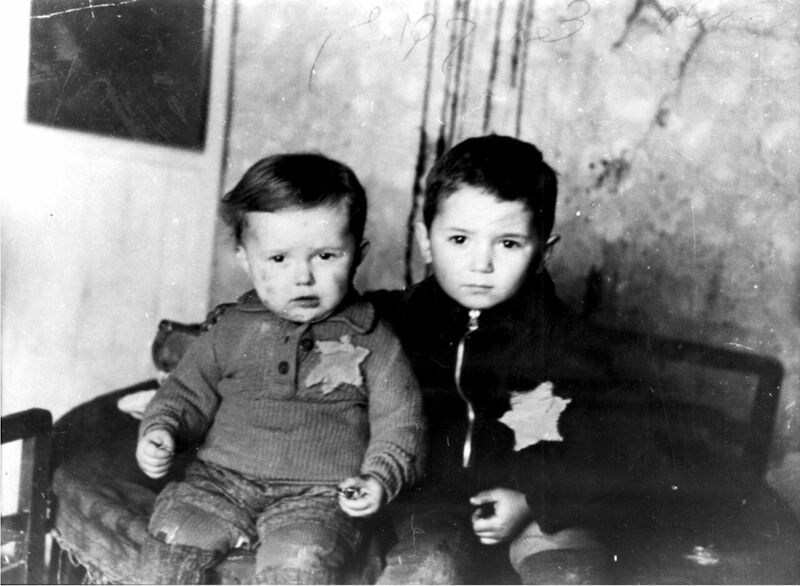 2 Child survivors are the last living witnesses to the Holocaust. Contact a local Holocaust museum or resource center to request a child survivor visit the classroom. As a class, generate a list of relevant questions to ask the survivor in advance of his or her visit. 3 Many communities have museums, centers, memorials, or survivors and refugees who can share their personal experiences with human rights violations and genocides in addition to the Holocaust, thereby promoting awareness on a range of topics and often encouraging civic action. Such resources are often representative of a particular community’s history and/or immigration experience. For example, the Oregon Nikkei Legacy Center in Portland (oregonnikkei.org) reflects the large Japanese-American population in the Pacific Northwest and their experience with internment during World War II. Identify such resources in the community and plan a visit for students. Following a visit to a local museum or center, or after meeting with a guest speaker, have students conduct a short research project to answer a self-generated question based on something they have seen or heard that they would like to explore further. 4 As a class, read and discuss current and past reports from The State of the World’s Children on the UNICEF website (unicef.org/sowc). 5 Have students plan an event in their school or community commemorating Holocaust Remembrance Week (Yom Hashoah Week), which is usually observed in the United States in April, a week after the end of Passover. Yom Hashoah marks the anniversary of the Warsaw Ghetto Uprising. Invite parents, family members, community members, and school staff and students to the event. As a class, decide what the day will include and what each student’s role will be. Visit the United States Holocaust Memorial Museum (ushmm.org) and Yad Vashem (yadvashem.org) websites for additional information about Yom Hashoah and guidelines for planning commemoration activities. 6 To provide an opportunity for students to learn more about individuals who survived genocide and human rights violations, help them create a book club to meet on a regular basis either in person or online. Share selected titles with book club members, but let the students come to consensus on which book to read. Students should also decide when they will meet, how much of the book they will have read prior to meeting, and the role they will play in the discussion (e.g., decide if there will be a discussion leader for each title). Teachers are encouraged to help facilitate book club meetings, but resist turning the club into an extension of the academic day. Below is a list of sample titles only; this list is not intended to be comprehensive. Teachers are encouraged to share titles that are age appropriate.